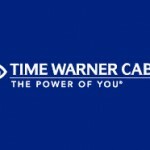 Time Warner Cable has reached a milestone 100 HD channels in the North East region, that according to Multichannel News. The area includes upstate New York and New England, where TMC’s digital conversion gave them the needed bandwidth to expand its high-def lineup. The company offers at least 100 HD channels in other North East markets including Buffalo, Rochester, Syracuse, Binghamton, Albany and Portland, Maine. Last month, Time Warner Cable launched Wideband Internet and Business Class Wideband Internet in New York City, providing customers with speeds of up to 50 Mbps download and 5 Mbps upload. Next Next post: Apple, Win7 Products Come To Market: No Blu-ray for you! !